Topics to cover - comments? 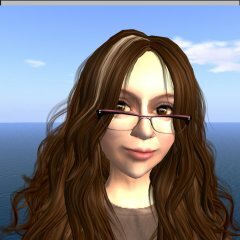 I've dropped you a friend request inworld -- let's talk! Griffin, the current policy is a hindrance to many who would like to export content to which they legitimately own appropriate intellectual property rights, or which they have built in collaboration with others, even when they have signed, hard copy, real-life contracts to demonstrate their rights. Stating that is not an endorsement of copybot. It should be possible to export content when it has been vetted, and in fact the Lab itself has done so under specific circumstances (from SL to Second Life Enterprise -- they had tools in place for this purpose at the time, which I thought were pretty nifty when I used them). That's not copybot, and neither are the other methods I use. (Edited to add: at the recent Virtual Worlds Best Practices in Education conference, Ebbe Linden, during his keynote, said himself that he feels that people who own IP rights to content should be able to export it, and that he planned to look into making it easier to do so.) I have both exported and recreated custom content which my company created for clients. I own the rights to the content and licensed it to my clients. Whatever I didn't create myself was created by content creators employed by my company. There is a difference between purchasing a chair in a shop in SL versus hiring someone to create custom content for you under a legally binding agreement that details a rights transfer or Work for Hire agreement. I'm not talking about ripping a chair you got for a hundred L$ from a Gatcha machine, but about something else entirely. Your insinuations are so off base that your post cracked me up rather than offending me. I understand completely your concern about copybot, as I am someone who makes her real-life living from this IP. I'm not the droid you're looking for. Rstan, I have in the past set up multiple accounts with the same email address in order to meet the needs of clients (I'm a professional SL developer). Contact Linden support, explain the situation, including the number of accounts you need, what for, and some info about your organization. (Edit: as has already been mentioned, you can create up to five accounts with the same email address, but allowing others to use them is the issue. You will need to be white listed by LL for that, or to create more than five with the same email address.) It is possible to export content from Second Life to Open Simulator, but it isn't always simple. Script functions are not exactly the same in OS, nor is the physics engine. Another hindrance is the SL policy that says you cannot connect to the service with a viewer able to export content that you didn't personally create or upload. However, there are ways to recreate content despite it, as I have done for clients. (Edit: It is entirely possible to own intellectual property rights on content without having the correct SL permissions in order to export it. If you do have custom content built for you, be sure to tell your developer up front if you want to have the ability to export it.) Developing content for OS is often more difficult and more expensive than creating the same things in SL, for a variety of reasons, and you will not have the same large community, Linden support, and as many options to buy content from shops (which of course costs less than creating every rug and sock custom). However, you may have certain abilities you don't have in SL, depending on what grid you join or whether you set up one of your own. Some find that OS costs them more, despite lower region hosting expense, because content costs more. My company works in both SL and OS. If you need a hand with any of this, please drop me an IM in SL. Best of luck with your project! No, Maelstrom. Like I'm gonna pass up free plants? Format is mangled on IE 8 running on Win 7, with overlapping and nonexistent elements. Compatability View helps, somewhat. I'm very interested in this thread, and I'm reading every post that's forwarded to my mailbox. But my work keeps being interrupted by incoming email full of snide comments about who needs a better PC, who's got powerful friends and which is just some little girl in a wheelchair, who is or isn't elegant, who does or doesn't have class, who's an elder or an idiot, and just what they can stuff where. I'm sure your flamewar is really important to you, but I really don't want it shoved in my face. Please stop clogging the blog and my inbox with your personal issues and go inworld and pushgun each other to death or something. Why is there no Gold Solution Provider icon on my profile?